Ben Thorp Brown, video still from Gropius Memory Palace, 2017, 4K Video, 5.1 Sound, 20:17. Courtesy of the artist. 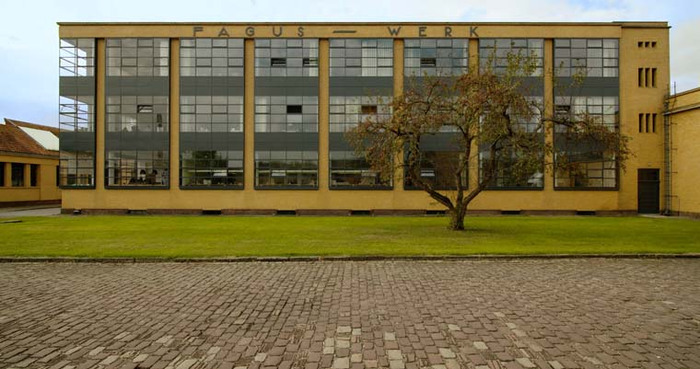 Gropius Memory Palace is a film produced within the Fagus Factory, one of the earliest designs of Bauhaus architect Walter Gropius. 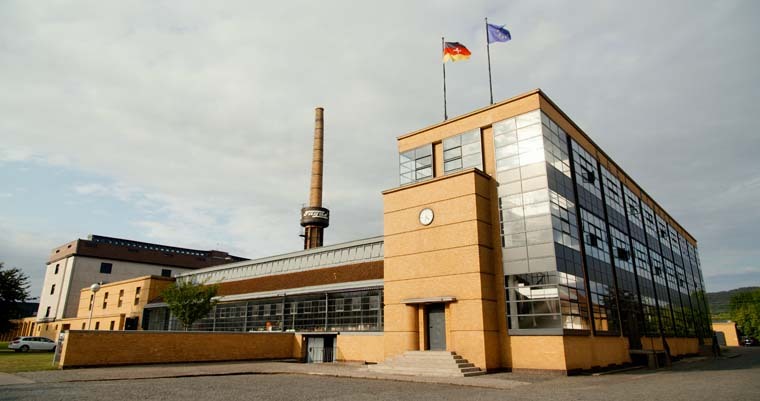 The Fagus Factory opened in 1911 and remains fully functioning, continuing to make shoe lasts. Through this site of evolving production and layered histories, Gropius Memory Palace examines shifts in technology and the workplace, where hand-crafted production is practiced alongside automated manufacturing techniques, continuing to engage the philosophy of the Bauhaus, but defying familiar economic logic. Ben Thorp Brown explores these ideas through the form of a guided meditation and hypnotherapy session, inviting viewers to use images of the Fagus Factory to construct a memory palace—a place that one can visit in their mind to store and reorganize memories. Brown's meditative journey through the factory attempts to soothe anxieties around technology's effects on the body and workplace, considering the relationship between memory and architecture. Ben Thorp Brown works across a number of artistic disciplines including video, photography, sculpture, and performance. His work often addresses how transformations in technology and capitalism affect embodied experience and memory. Responding to ongoing economic, environmental, and technological change, his work seeks to develop possibilities for human agency within complex systems through embedded research, process, and collaboration with a range of participants. His recent work has been presented in exhibitions and venues such as Dreamlands: Immersive Cinema and Art, 1905-2016, Whitney Museum of American Art; Greater New York, MoMA PS1; 24/7 the human condition, Vienna Biennale, Chance Motives, SculptureCenter. He has participated in residencies through the Lower Manhattan Cultural Council's Workspace program and at the Chinati Foundation in Marfa, TX. He received a BA from Williams College, an MFA from the School of the Art Institute of Chicago, and attended the Whitney Museum Independent Study Program. He has taught fine arts at California Institute for the Arts (CalArts), New York University, The Cooper Union, and currently teaches at Parsons/The New School. He is a 2016 Creative Capital Award recipient.